Bayer Leverkusen vs Borussia Dortmund predictions for this weekend’s German Bundesliga. 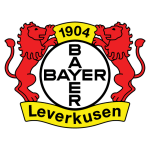 Leverkusen return to the BayArena on Saturday for what could be an uncomfortable afternoon against an in-form Dortmund. Read on for our free betting tips and match preview. Borussia Dortmund’s landscape is a lot different now than the glory days of the early 2010’s and last season’s topsy-turvy performances have prompted due change. Former-Nice and Borussia Monchengladbach boss Lucien Favre is the man Der BVB have assigned to mould them into title contenders once again, and with 11 points from their opening five matches (W3 D2), he’s getting them back on the right track – in fact, Dortmund have only gotten off to a better start under one coach: Thomas Tuchel. Favre will no doubt be contemplating the addition of Spanish forward Paco Alcacer, on loan from Barcelona, to the attacking trio this weekend after resting him in the 7-0 hammering of Nurnberg at Signal-Iduna Park on Wednesday. Either he or Maximilian Philipp should spearhead the Dortmund attack alongside captain Marco Reus and winger Christian Pulisic (pictured). Leverkusen’s thrilling second-half comeback against Ludogorets in their opening game of the Europa League just over a week back was exactly what they needed to kick start their season. Herrlich’s men have taken two wins from two in the Bundesliga since – albeit against Mainz and Fortuna Dusseldorf – and no doubt they’ll be eager to continue making amends to their worst ever start to a Bundesliga campaign (L3) this weekend. Leverkusen opted for change against Dusseldorf with forward Kevin Volland coming in for Julian Brandt and Isaac Thelin making his debut start for the club in place of Lucas Alario. After a slow beginning, the pair began to build an understanding but it was key man Volland – Leverkusen’s top scorer last season (14 goals) – who scored a brace to earn them the three points. It’s unlikely coach Herrlich will change the 4-4-1-1 formation that has served them so well over the last week, but it wouldn’t be a surprise to see him revert to their strongest starting eleven. So how does this one look in terms of betting? Well, though many associate Bayer Leverkusen with high scoring and high tempo football, the North Rhine-Westphalia based side are yet to truly get back to their best. Inconsistency plagued last season’s eventual 5th place finish and their home form isn’t as good as you’d think – Leverkusen won just 8 of their 17 home matches last season (W8 D5 L4). Similarly, for a side that you’d have expected to challenge for the title last season, Borussia Dortmund had some troubles of their own – Der BVB recorded just the fifth strongest home and fourth strongest away record in the Bundesliga last season. However, out of the two sides, there’s no question that Dortmund look the more changed side over the course of the season. Under Favre they have been displaying all the signs of a team that are on their way back to their best and that 7-0 win during the week with a brace for captain Marco Reus will do wonders for their morale ahead of the weekend. Dortmund’s head-to-head record against Leverkusen over the past few years has been solid enough too, having lost just one of the last seven meetings between them (W4 D2 L1). Following off that, we feel the best bet has to be backing the visitors ‘Draw no Bet’ on Saturday – that is, if Dortmund win, the bet wins, but if Dortmund draw, the bet is void. Der BVB simply have too much going for them: unbeaten in seven competitive outings (W5), holding the best offensive record in the Bundesliga, having a much better depth of attacking quality in players like Marco Reus, Marius Wolf, Christian Pulisic, Jordan Sancho and so on… Leverkusen, meanwhile, are a side that have just about won each of their last three matches – unconvincingly at that – and head into this with the joint second worst defensive record in the league. Our prediction: 2-1 Dortmund. 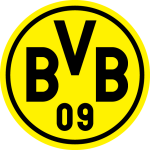 Dortmund are unbeaten competitively in the 18/19 season (W5 D2 over five Bundesliga, one DFB Pokal and one Champions League match). Dortmund won or drew in 12 of their 17 away matches last season (W6 D6 L5). Dortmund hold the single best offense in the Bundesliga (15 goals scored).